This is one of this month's assignments for Craft Warehouse. I stepped out of the box a bit and tried several new things on this project I have never tried before. 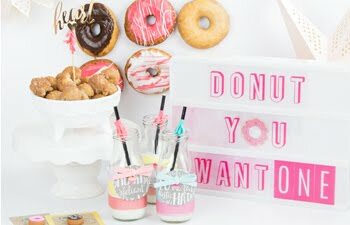 This chalkboard was created with items from Daisy Bucket Designs's and their new Jumbo Scallop Banner. This huge piece of chipboard was first cut down to 19 inches. I put a layer of gesso on the chipboard so that the surface would be ready to paint on. I then added the paintable chalk paint (not the spray can) according to the product's instructions. To speed up drying time I used my heat gun. The directions say to rub chalk all over the surface to prepare it for use and then wipe it off. I actually love the look that it gave piece. When it hangs on the wall it really looks like a chalkboard. 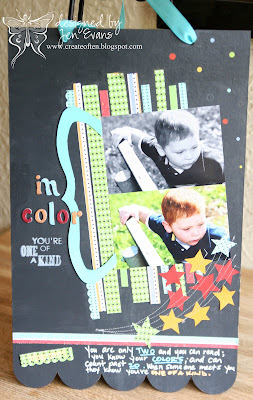 I added the patterned paper from the My Little Monster line and placed my photos on top. I then cut this cute bracket chipboard and painted it with acrylic paint. Afterwards, I added this adorable stamp and the rubons from the My Little Monster line. 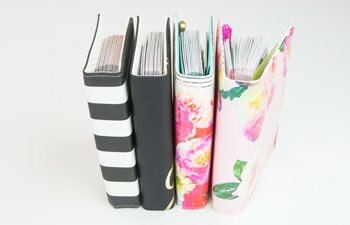 I wanted American Craft's Thickers to match my layout and so I painted the ones I already had to match the paper exactly. I used the glittered alphabet so that the new colors would all sparkle the same as if it was the original color. I love this technique! It helps my stash of alphabets stretch farther. 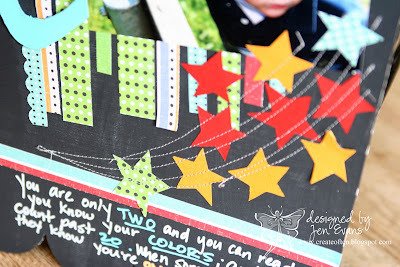 I then hand cut stars and glued them on the chalkboard. I ran the chipboard through the sewing machine (I didn't even have to change any settings! I just ran it slow and the machine had no problem with this size chipboard at all). 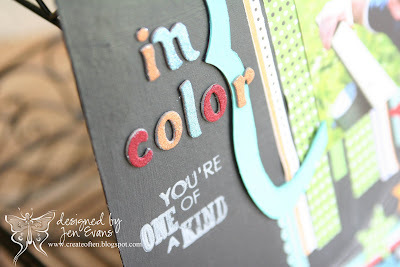 I purchased a set of bistro chalk markers for this project specifically. I was a little scared to use it on my piece without knowing how it would turn out, so I tested them on paper first. Oh my! I loved them! I am really going to begin to use these on my layouts more often. Of course, since they are chalk they smear. But, just like any chalk product if you used it on a layout or piece of art you would just need to spray it with an acrylic sealer if you wanted it to be permanent. What I realized when testing them is that they smear when on paper but don't on the chipboard. The bistro markers are suppose to be wiped off with a damp cloth. It wiped off the chipboard but you could still see a mark where the word was. But, I did test regular chalk on it and it wiped off just fine. So, this project could be easily scrap-lifted and made into a chalkboard for your grocery list, to-do list using regular chalk. But you just can't beat the bright bistro chalk colors, so for this piece I am using the acrylic sealer. 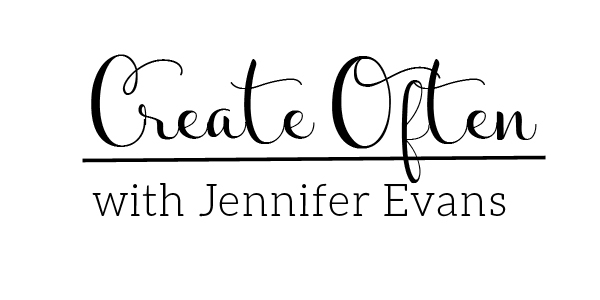 Create Well: Step out of the box and try something new! A little scared? Try it on a smaller project, like a card, to see what you think. You might find a new product that you can't live without! this is so brilliant Jen - I love it! !